Pallet Conveyor Systems from Colby Dandenong provide your industrial facility with smooth and convenient methods of pallet handling. Our systems have the strength and capability to work in varied industrial environments. BK25 Smart pallet roller conveyors are designed to handle everything from pallets and drums to work-in-progress containers. They are built to resist heat, dirt, oil, and other contaminants. Smooth transportation is provided through the contact between pallet and roller. 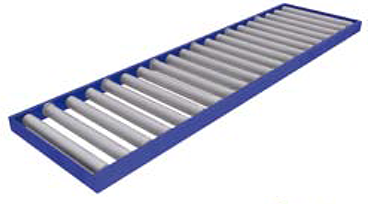 Guide flanges on the supporting conveyor rollers ensure the pallets remain firmly in position on the conveyor. 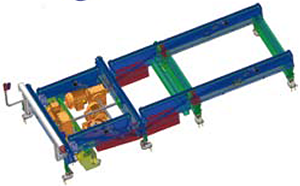 T5 pallet chain conveyors are designed for operational reliability. They are robust and require minimal maintenance. 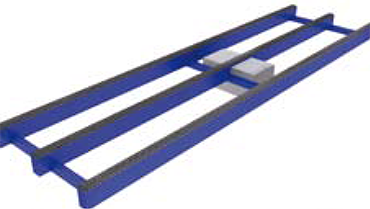 Chain conveyors are used when the bottom of the load can be bridged across its width. Two, three or four chain options are offered for positive load location and transportation. The newly developed CNN Pallet Conveyor is chain-driven. It was purpose-built for flexibility and economy. This new concept utilises a single drive for the outbound conveyor as well as the primary transfer. This saves you the costs associated with the additional drive in a standard pallet turntable. Our CNN Conveyor is a cost-effective solution and is specifically designed for use with pallets weighing less than 1,000 kilograms. 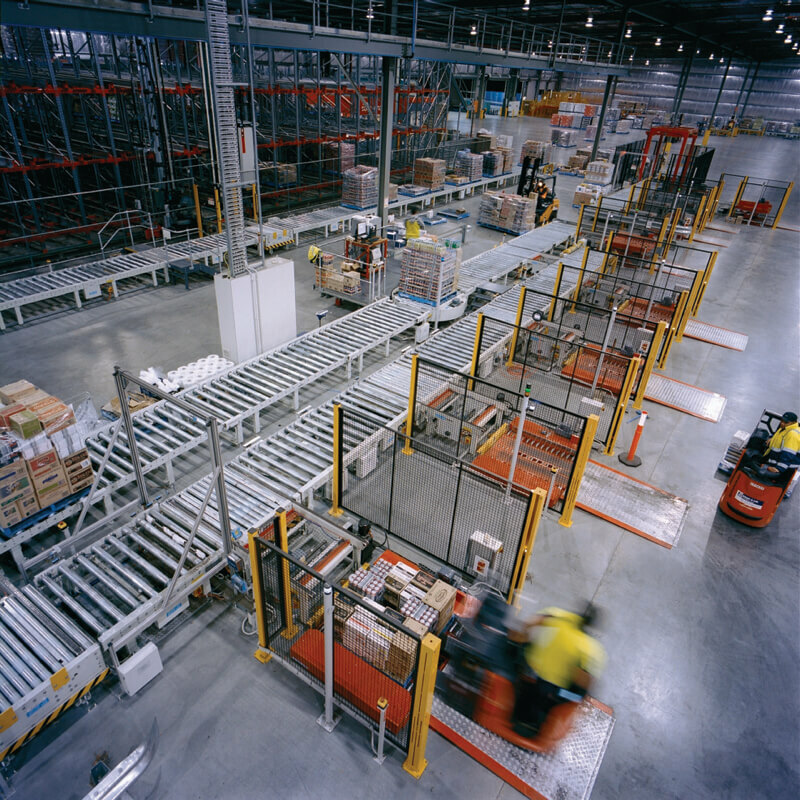 Colby Dandenong automated pallet solutions are a fast, accurate and reliable method of transporting unit loads, both into storage and out to dispatch. They’re perfect for handling these loads based on predefined throughput, pickup and delivery. When the shipping pallet is ready, it’s carried away by transfer cars and delivered to a stretch wrapper zone where it’s prepared for dispatch. The finished goods are assembled into a palletised unit load. At this point, a range of automated handling options present themselves including Automated Guided Vehicles (AGV’s), unit load conveyors, pallet shuttle carts and electrified overhead monorails. Reliable and safe 24/7 performance. Why Choose Colby Pallet Automated Conveyor Systems? Based in Melbourne, Victoria, we have an Australia-wide network ready to respond to your needs. And all our conveyor solutions are designed and engineered here in Australia. Learn more about conveyor solutions.